The first poll on the Michigan Senate race was a little shady, given that the website for the polling firm that showed Kid Rock (aka Robert Ritchie) up four points over Democratic incumbent Debbie Stabenow was set up two weeks prior to its release. Yet, Trafalgar Group recently did a poll—and they have the musician up two points over Stabenow. It’s early. It’s very early, though in a year where change is popular, where being an outsider is viewed as an asset—this should be some uplifting news for the Devil Without a Cause caucus that wants to see Rock run and possibly beat Stabenow. First, The Trafalgar Group has been around a while. They aren’t a website registered 2 weeks ago. They have real social media presence. Second, they did polling for the Georgia 6th District race and correctly had Karen Handel beating (who?) Jon Ossoff. Third, I called them (you can too: 770-542-8170, that’s from Facebook, don’t worry, I didn’t dox them). Someone answered. Rock has created a non-profit group to encourage voter registration, but the Trafalgar poll also shows him leading by double-digits over his other potential GOP challengers in the primary. This isn’t a joke. 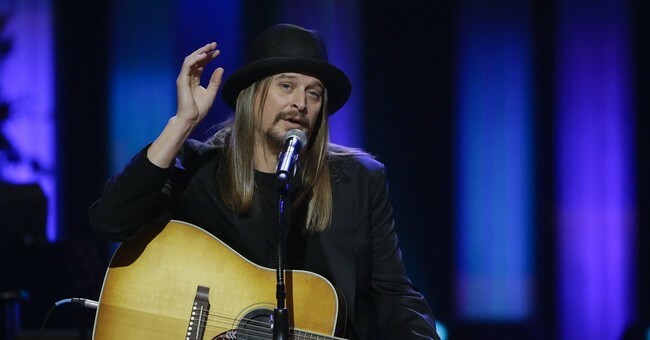 Kid Rock could be competitive. The midterms could get interesting in Michigan.